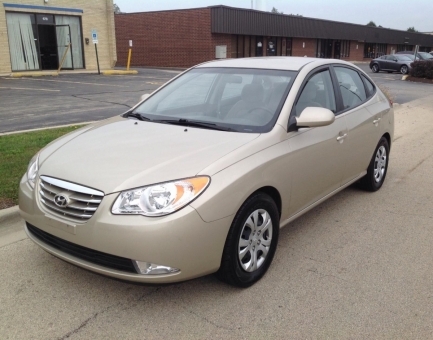 This 2010 Hyundai Elantra GLS is a small sedan with a fuel efficient 4 cylinder engine,spacious interior,mand ample trunk space. This edition is super clean, very sharp, and in good working order. The Elantra will provide a smooth,mquiet ride and has capable handling. The interior design is very sharp with beige cloth seats, beige and black dash, and metallic accents. There is plenty to like in this very sharp 2010 Hyundai Elantra GLS, low miles, newer tires, fuel efficient, sharp interior,mand the price is attractive. Options include a hard top, power windows, mirrors, locks, steel wheels, Goodyear tires, AM-FM stereo with satellite radio and CD player.